Once again I was crocheting with black yarn and wanted to make black motifs in this top somewhat more visible. Why not to emphasize the central panel of 4 round motifs with another colour? 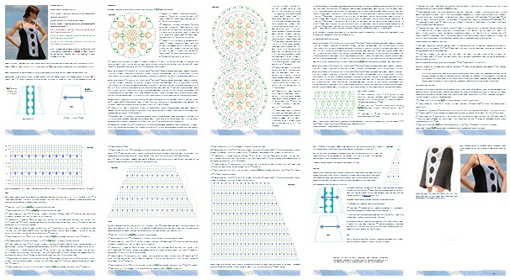 ► detailed instructions in English with charts and their written explanation (in case you are not used to work with the crochet diagrams). XXL with bust circumference 112-116 cm (44-45.5’’), hips 114-119 cm (45-47’’). Top can be worn during pregnancy – it’s fitted at bust level with positive ease over your belly. It was made in size XL as a present to my neighbour. 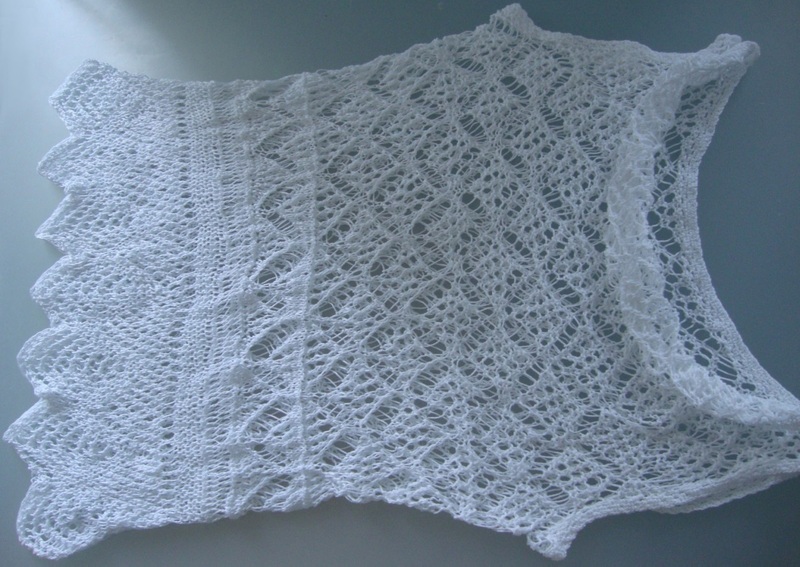 I used zigzags and rhombuses as in my previous knit top, but changed the edge and the neckline. With these shoulders it’s certainly easier to find a suitable bra : ). This top looks great with a bikini – you will get lots of admiring glances on a beach resort! It takes not much place in your travel luggage, is very light (weighs 100 gr only), and has a perfect & practical design for the hot summer – it leaves your shoulders free so you would not suffer from the heat too much. 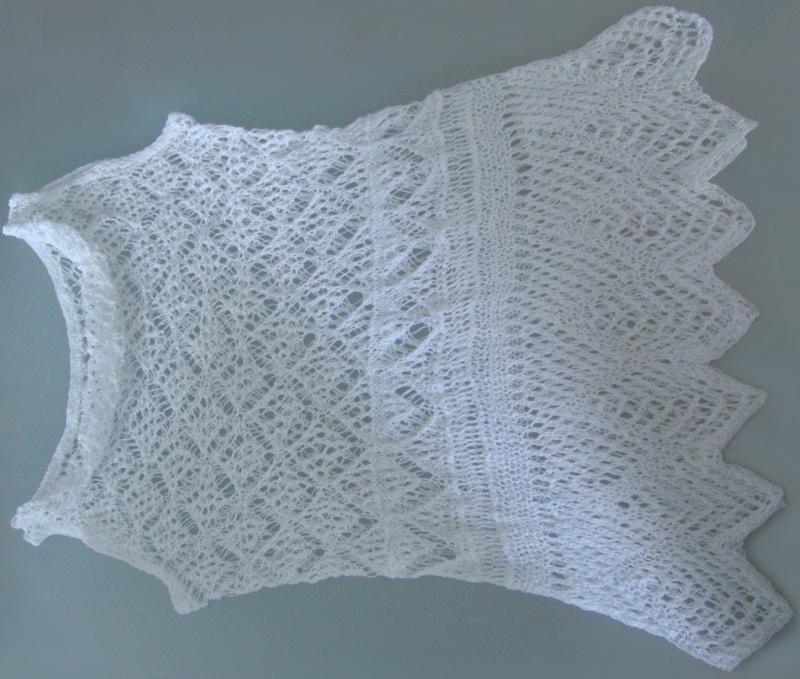 To make the same neckline as I did for my neighbour simply decrease 2 rhombuses for the armholes as described in the PDF and then knit straight up to the neckline. Sew shoulder seams – in each shoulder join one rhombus of the front with respective rhombus in the back.